So here is how this will work. 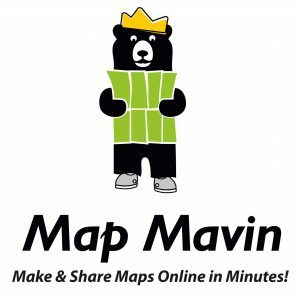 Each month, we will give away up to five free two-month subscriptions to Map Mavin – that is a $35 value per subscription! Included in this free subscription is up to 5 gigabytes (GB) of cloud-based storage. Then you would pay a base rate of $35 per month for Map Mavin from there if you decide to keep the service active. If you are already a Map Mavin client, we will credit your account $35 if you win the contest. What is the oldest capital in the United States and when did its first inhabitants arrive? November 2018 Free For All Answer & Winners! The answer to last month’s question was California as the United States’ most populous state. No winners again – perhaps this month! This entry was posted in The Geospatial Times and tagged free, Free For All, GIS Cloud, Map Mavin, The Geospatial Times by Apollo Mapping. Bookmark the permalink.